We arrange for the testing of your scuba cylinder. According to Australian standards all scuba cylinders must be tested annually. If your tank is out of test it will not be filled by scuba shops. Sometimes your tank may also require brushing, rumbling, etc. In order to keep your tank in good condition and minimize testing costs you should only fill your tank at a trusted shop. Cylinder valves are not serviced in the annual cylinder hydrostatic inspection and usually needs servicing about every two years. If you use your equipment often (approx. 100 dives per year), you may want to have to have it serviced every 12 months. Once again, if you are a club member you will be provided with a loan cylinder free of charge until your tank is returned. Is your cylinder a Nitrox cylinder? Do you know that if at any point you get it filled using standard air you will have compromised your cylinder’s Nitrox status? If that is the case or perhaps that you have purchased a cylinder that you need to use as a Nitrox cylinder, drop it into us. We will have the cylinder washed to remove any traces of hydrocarbons, as well as fully servicing, over-hauling, and replacing all the o-rings of the valve with Nitrox compatible o-rings. 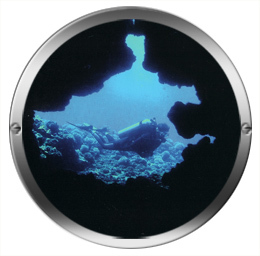 To guarantee that you have your cylinder filled with Nitrox compatible (clean air) make sure that you have it filled at SCUBA CULTURE and be sure to specify that you want “Clean Air”. We will fill your cylinder through our state of the art custom designed fill panel using an extra “in-line” filter on our fill whip, guaranteeing you the best quality, cleanest and purest air available.